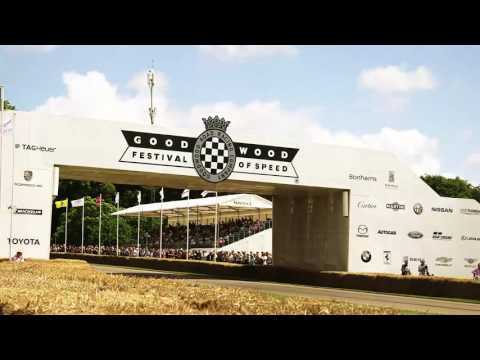 On the final day of this year’s Goodwood Festival of Speed, MERCEDES-AMG PETRONAS driver, Nico Rosberg, impressed fans and festival goers by driving the 2014 F1 W05 Hybrid up the famous hill for the final time at this year’s festival. After pleasing the crowds, Nico paid a visit to the Mercedes-Benz Pavilion where he greeted fans, signed some autographs and admired the new Mercedes-Benz GT R. Nico recently wont the European Grand Prix in Azerbaijan, tallying 5 wins this season. Following its debut on Saturday, the Mercedes-AMG GT R took to the hill once again, alongside the Mercedes-AMG S 63 Cabriolet and C 63 S Edition 1 Coupé. Especially for Sunday, viewers of the supercar run also got to see an additional Mercedes-AMG C 63 Coupé make its way up the hill.